If your kids have been asking you about getting a lake house for years, this Residence destination trailer will be the one you want! 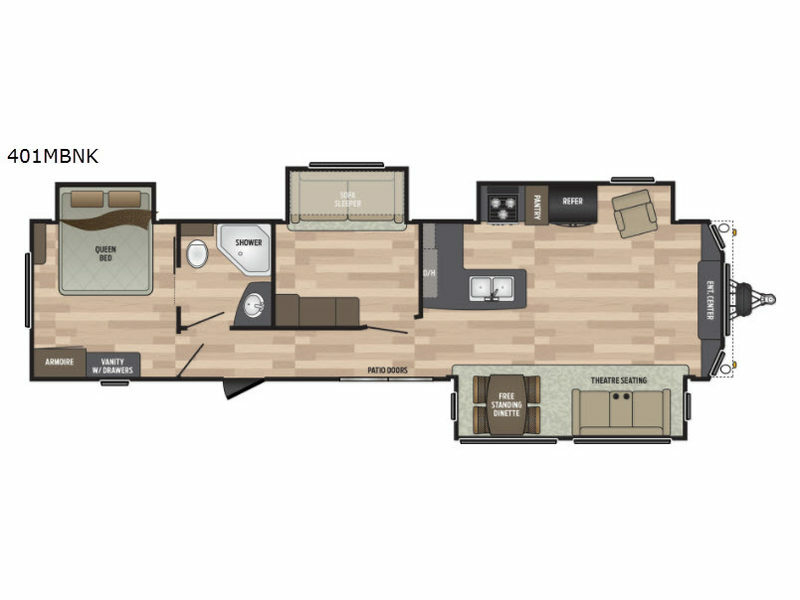 This model offers a private bunkhouse in the middle of the unit, as well as a private master suite in the rear. 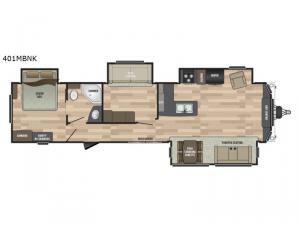 The kids can sleep on the slide-out sofa sleeper or overhead bunk in their own private room while you relax on the queen-size bed with your own private access to the bathroom. When you head towards the front of this trailer for breakfast, you will be able to admire the beautiful scenery you are vacationing in the midst of through the 60" dual pane sliding glass doors. The front living area will not disappoint with its theater seating, free-standing table with chairs, and recliner, and with this model you will have plenty of storage space to leave items behind for the next trip to your new lake home.